The SERVPRO Commercial Large Loss Division is composed of the very best in the restoration industry. SERVPRO of Ashtabula & North Trumbull Counties is part of SERVPRO's Large Loss Response Team. 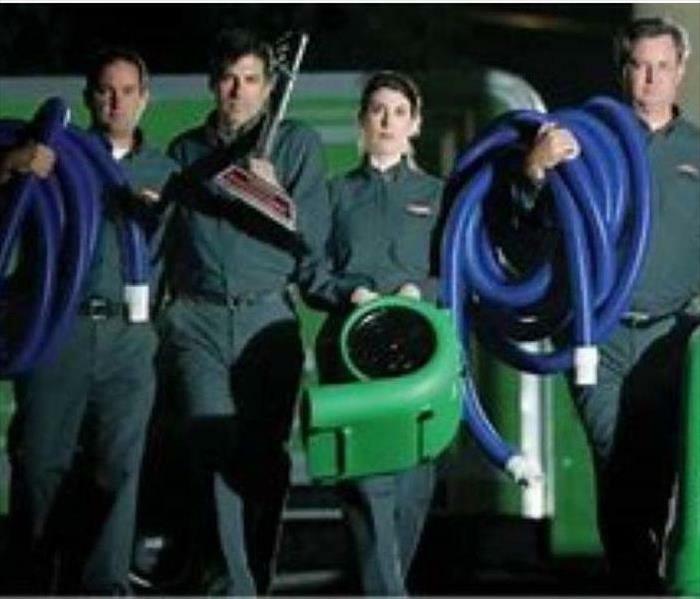 The SERVPRO Commercial Large Loss Division is composed of the very best in the restoration industry. We have a group of elite large-loss specialists who are prequalified and strategically positioned throughout the United States to handle any size disaster. To ensure efficiency and effectiveness, every large loss is supervised by a commercial operations manager to provide seamless communication and timely mitigation. At SERVPRO of Ashtabula & North Trumbull Counties, the difference is our ability to dispatch trained production professionals and cut costs through the strategic placement and oversight of labor. Get the SERVPRO Disaster Recovery Team professionals, call SERVPRO of Ashtabula & North Trumbull Counties at (440) 319-3360. With the ability to mobilize local command centers, along with the resources of more than 1,700 Franchises nationwide, no disaster is too big. The SERVPRO Disaster Recovery Team can provide help whether you're dealing with a tornado, hurricane, blizzard or flood. Available 24 hours a day, SERVPRO of Ashtabula & North Trumbull Counties is prepared for the unpredictable. Stay connected for the latest restoration news and tips on our facebook page. This Injectidry floor mat system is used to dry high risk areas of hidden moisture in and under flooring. When you hear ‘Water Damage’ it’s usually associated with a tragic event or an unforeseen disaster to those who experience it. The causes of water damage can vary in size, from a simple pipe burst to flooding from a violent storm. Whatever water damage occurs, it’s important to stay educated on the mitigation and restoration processes. Water moves very quickly and will ultimately reach its lowest point. Once the water reaches it settling point and remains there for a long period of time, the more damage it will cause. If materials such as carpet, padding, sub flooring are completely saturated, they are likely ruined. Many homes today contain hardwood floors instead of carpet. Kitchens, living rooms, dens and dining rooms are utilizing hardwood flooring at an increasing rate. Water tends to get trapped in the natural wood grooves and crevices. If not dried properly, these wet areas will support mold growth. Mold is extremely likely to find a home on hardwood flooring because it is made of organic material. Most of the restoration equipment today is designed to extract water from carpet. This equipment does lend itself to extracting on hardwood flooring, depending on the amount of water. If the hardwood flooring goes untreated for a period of time, several unfavorable things can happen. Morphing, splitting and cupping can progress to the point the floor becomes unsteady and unsafe. Nonetheless, when the damage occurs, call SERVPRO of Ashtabula & North Trumbull Counties at (440) 319-3360 right away to give them a fighting chance to save your existing floor from further damage. HOW DO WE SAVE THE HARDWOOD FLOOR? In order to save hardwood flooring, one option is to initiate the dehumidifying process as soon as possible. Dehumidifying is probably not going to get all of the water, but it is certainly a necessary step in order to reach some of that trapped water we spoke of earlier. If water still remains after extensive dehumidification, pulling the affected areas and replacing portions of the floor may need to occur. In severe cases, total floor removal and replacement may be necessary. A second option is the Injectidry System. 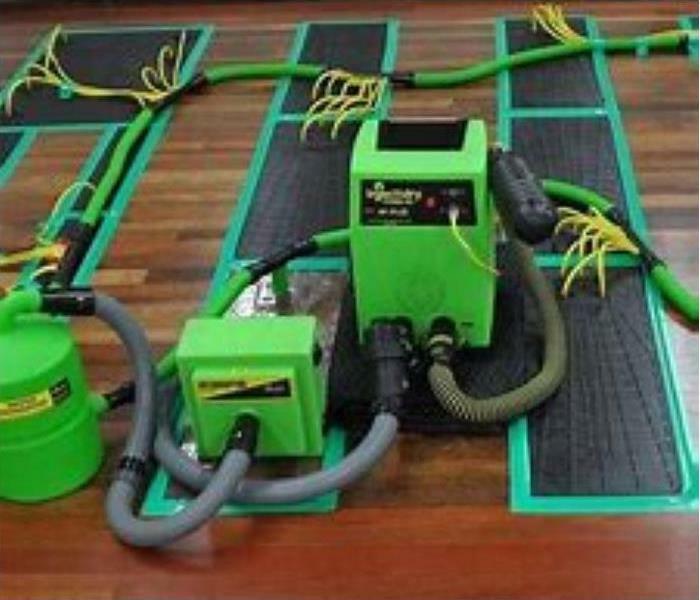 SERVPRO uses this floor mat system to properly dry out hardwood floors. This Injectidry floor mat system is used to dry high risk areas of hidden moisture in and under flooring. It is mostly used for hardwood flooring but can also be used for marble, tile and sub-flooring and cabinetry. In the end it can save the homeowner the cost of having to tear out and replace all the hardwood flooring. Whether you need a professional opinion, mitigation or drying and dehumidification, call SERVPRO of Ashtabula & North Trumbull Counties at (440) 319-3360. Visit us on FACEBOOK for more tips. Hot Water Tank burst? Sewer & Drain backup? Storm Water Back up? If any of these disasters have inconvenienced you and your Ashtabula, OH home or business, help is just a phone call away. At SERVPRO of Ashtabula & North Trumbull Counties, we offer 24-hour emergency services that includes emergency water extraction, dehumidification, drying, cleanup and restoration. It is important to call SERVPRO of Ashtabula & North Trumbull Counties quickly to help avoid secondary water damages like microbial growth. It's important to know there are several different categories of flood and water damages (CAT 1, CAT 2, CAT 3) which when identified, requires different solutions to restoring the affected structure. SERVPRO technicians have extensive water damage restoration training, and our process emphasizes regular monitoring and documentation of the drying process from beginning to end. If you have suffered water damages to your home or business, or just want information on what you can expect, call SERVPRO of Ashtabula & North Trumbull Counties at (440) 319-3360. What's Living in Your Commercial Ducts? No matter how clean you keep your facility, air ducts still need maintenance on a regular basis. What could possibly be wrong? You just cleaned your desk yesterday and even your wiped off your computer and keyboard. Somehow, when you got into your office this morning, you notice a new layer of dust has formed virtually overnight. Could this be a sign it’s time to have an air duct cleaning preformed in your commercial building. If so, SERVPRO of Ashtabula & North Trumbull Counties can help. Wait! There's more. You might be thinking the dirt is an accumulation of dirt and dust living inside your air ducts, but professional cleaners may find more than that: mold, fungi, dust mites, fleas, and other creepy crawly creatures. These are signs that show it’s time to hire a professional service to take care of this issue. These problems could include an increase of allergies for employees, and even a lack of air flow coming out from the vents. 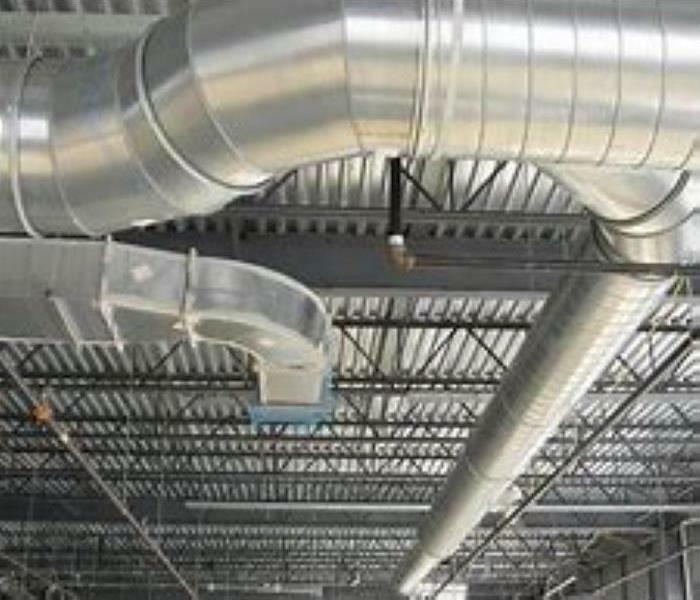 No matter how clean you keep your facility, air ducts still need maintenance on a regular basis. Whether your facility needs an air duct cleaning or one of our other services call SERVPRO of Ashtabula & North Trumbull Counties at (440) 316-3360. Do you own a commercial building? Have you taken the time to construct a fire prevention plan for you and your employees? In commercial facilities, fire alarms & extinguishers are extremely important. They have saved countless lives over the years and are a valuable asset in every building. Alarms serve as the first line of defense in a fire prevention plan. It is important that they are regularly inspected and in good working order. If a fire were to occur inside of a commercial building, a functioning fire extinguisher(s) on site could prevent your building from total destruction. There are many types of extinguishers such as water and foam, carbon dioxide, and dry or wet chemical extinguishers. Conduct training periodically to make sure the employees know how to fully operate the extinguishers. Commercial facilities should have a concise fire evacuation plan. All staff members should be properly educated on all aspects of the fire prevention measures in your building. If the fire alarm sounds, employees should know to safely exit the building. Also, there should always be clear evacuation paths to the exits that are free of obstacles. Another critical aspect of the fire and safety plan is that the building has emergency lighting in place to ensure that everyone can leave the building safely. There should be clearly marked exit signs that are lit up and visible from all parts of a room. 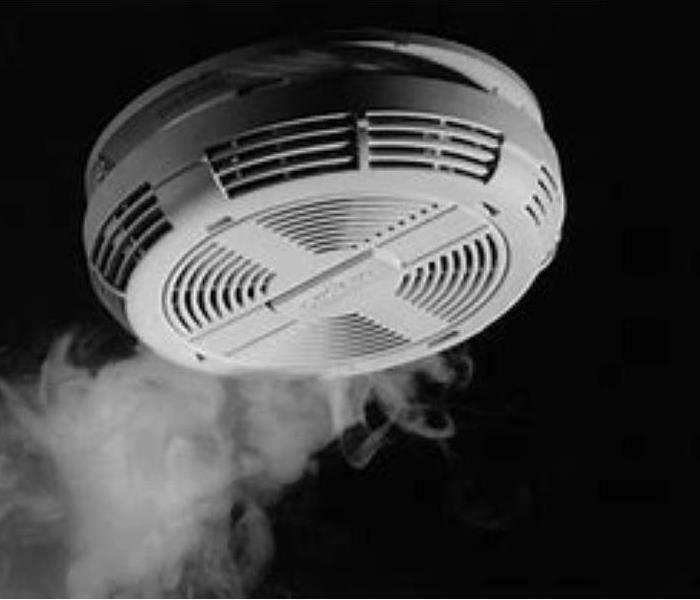 Replace all smoke alarms every ten years, and test the batteries once at least once a month. SERVPRO of Ashtabula & North Trumbull Counties is locally owned and operated. We are part of the community and want you to know that if you have a fire or smoke emergency, we are nearby and always ready to help. Call SERVPRO of Ashtabula & North Trumbull Counties at (440) 319-3360 with any of your restoration needs. Here is some public service information on Fire/Smoke alarms and how you can stay safe. There are two kinds of alarms. Ionization smoke alarms are quicker to warn about flaming fires. Photoelectric alarms are quicker to warn about smoldering fires. It would be a good idea to use both types of alarms in the home if possible. Install smoke alarms inside and outside of each bedroom and make sure everyone in the home knows what to do if the alarm sounds. Install alarms on every level of the home. Large homes may need extra smoke alarms. Interconnected smoke alarms whenever possible so that when one smoke alarm sounds they all sound. Smoke alarms should be on the ceiling or high on a wall. Keep smoke alarms away from the kitchen to reduce false alarms. They should be at least 10 feet from the stove. Replace all smoke alarms every 10 years, and test the batteries once at least once a month. SERVPRO has 1,700 Franchises in the U.S. and Canada ready to help at a moments notice. SERVPRO is a franchise system with 45 years of leadership in the cleanup and restoration industry. 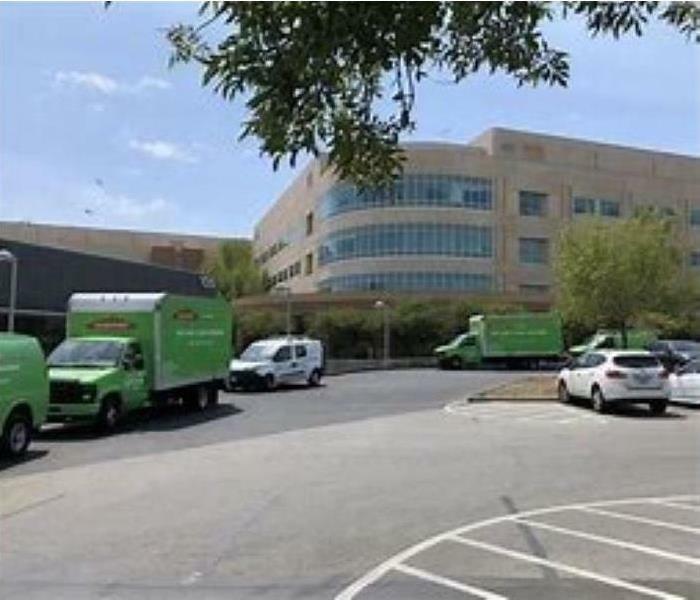 SERVPRO has a track record of results that has earned the trust of the insurance industry, countless homeowners, and in one unforgettable instance, even the Pentagon. 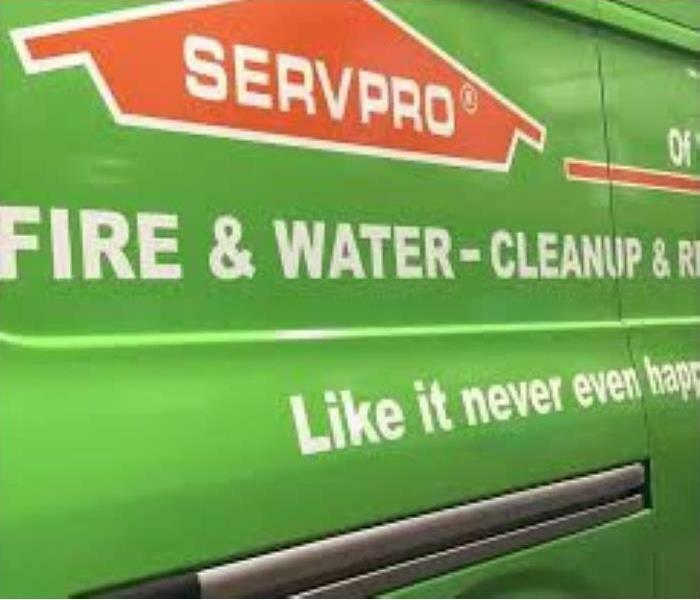 At SERVPRO of Ashtabula & North Trumbull Counties we take to the streets, every hour of every day, proving that whenever there is a house full of water or an office full of smoke, there is a reliable company to call that can make your loss look "Like it never even happened." We listen with empathy and gather as much information as possible so that we can quickly dispatch our crews to your property. As with most companies in the consumer service industry, the goal at SERVPRO of Ashtabula & North Trumbull Counties is to provide our customers with the best possible service in their time of need. At SERVPRO, we work for our customers first. They become our boss. We conduct cleanup and restoration services to reduce the stress and anxiety associated with disaster recovery. We are there for emergency calls with help, day or night. We aim to build a high level of trust and understanding with our local customers even though the relationship is a business dealing with transactional matter. When a commercial property owner or homeowner in the Ashtabula & North Trumbull County area calls us, we handle those calls with as much compassion and understanding as possible. We listen with empathy and gather as much information as possible so that we can quickly dispatch our crews to your property. The initial information gathering also helps reduce the stress the caller may have and quickly make them know they made the right choice. A designated SERVPRO team member will communicate directly with your insurance provider and the customer throughout the entire process to provide a clear understanding of what can be expected. We also know that your home is a sanctuary, a shelter and a place of security for you and your family. We appreciate the opportunity to serve you and will work towards our promise to make it "Like it never even happened." We want to know the customer is 100% satisfied and a relationship of 'trust' has been formed. We know 'trust' is very important in the restoration business. People want their property back to preloss condition and they are relying on us to do so. If you should ever need services in the future, it is our wish that you would choose SERVPRO every time. SERVPRO of Ashtabula & North Trumbull Counties is available 24/7 at (440) 319-3360 for all of your restoration needs. SERVPRO has emergency equipment ready to go for roof tarping and board-up services. SERVPRO of Ashtabula and Northern Trumbull Counties have set aside emergency response equipment so that we can provide immediate service to those in need. After experiencing storm, water, fire, or even vandalism damages, your home or business becomes vulnerable for additional compromise if not treated immediately by a restoration professional. Time is of the essence when it comes to any event classified under our 'Emergency Services.' When it comes to storm or water damage, the roof or siding of you home or business can become damaged either from high winds or blowing debris. If a hole is opened up in the roof or siding, it takes water no time at all to invade your home and start causing damage. 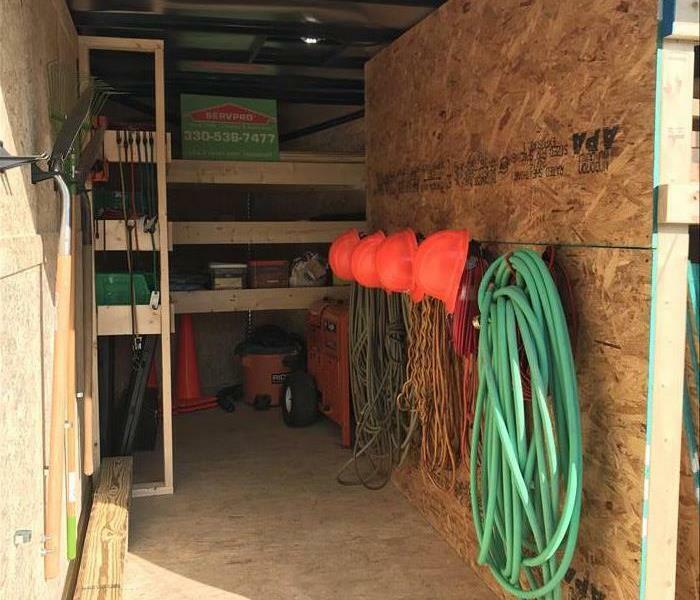 Having the SERVPRO Emergency Response Trailer loaded and ready with mitigation equipment and supplies allows us to immediately head out to your home and minimize the spread of the water. The quick response also allows us to begin the drying and dehumidification process as quickly as possible that ultimately helps lower the chances of mold growth. Fire and vandalism can leave windows or doors broken or blown out. 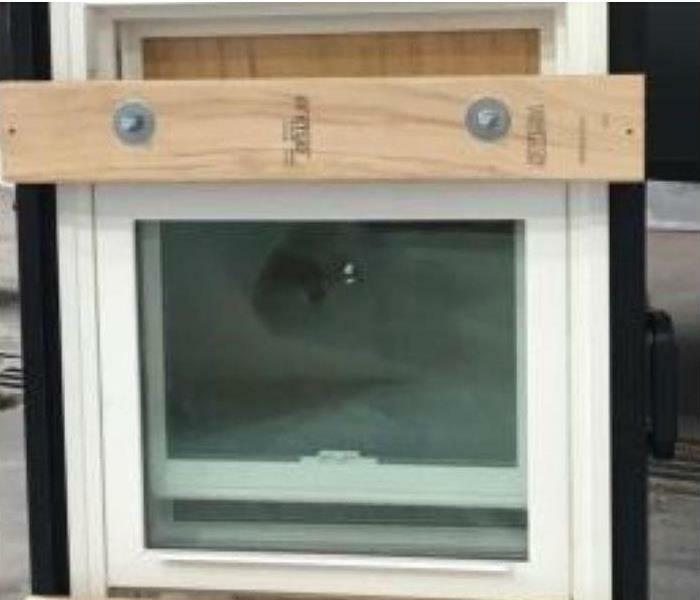 Having our Emergency Response Trailer ready to go with plywood, nails, and tools for securing these openings can alleviate a lot of stress, knowing that your home is safe and secure. If you are in need of any of our Emergency Services, call SERVPRO of Ashtabula and Northern Trumbull Counties at (440)319-3360 immediately! Follow us on Facebook to stay connected and to receive tips and ideas to further prepare your home or business for water or fire damage. SERVPRO’s Tension Board-Up method (interior view). Tension method results in increased security and decreased damage during the restoration process. Calling SERVPRO of Ashtabula & North Trumbull Counties is the answer to all of these questions. SERVPRO can help the homeowner with the fire restoration process from start to finish. Need Emergency Board Up Services? Call SERVPRO of Ashtabula & North Trumbull Counties 24/7 at (440) 319-3360. 3/29/2019 - What's Living in Your Commercial Ducts?